Students from St Patrick’s Technicial College recieving a demonstration from PMB Defence staff. Image via Skilling Australia Foundation. The Department of Defence's defence industry skilling program, the School Pathways Program, has been granted a $3.6 million, three-year extension to continue operation in South Australia and Western Australia. The program is one of the Department of Defence’s key defence industry skilling and science, technology, engineering and mathematics (STEM) initiatives. The program has been funded by Defence in South Australia since 2009 and in Western Australia since 2010. The aim of the program is to improve the STEM capabilities of students to prepare them for careers within the defence industry. "The School Pathways Program provides students and teachers with opportunities to enhance STEM capability and enterprise skills relevant to a career in defence industry, and increases engagement and participation in STEM subjects," Defence Industry Minister Christopher Pyne said. "The government is supporting a range of skilling and STEM initiatives to address industry capacity and capability gaps, and boost the pool of STEM skills within Australian defence industry." The School Pathways Program also helps to increase the pool of young people ready to move from school into further education, apprenticeships, internships, scholarships and part-time work/study combinations, providing clear pathways into the defence industry sector supporting Defence and broader national security. "The government will invest $3.6 million over three years for this program in South Australia and Western Australia, helping to raise young peoples’ awareness of defence industry careers and encourage them to consider becoming part of the workforce behind the defence force," Minister Pyne said. "This will be also help support the development of a skilled workforce for the delivery of the continuous naval shipbuilding program in South Australia and Western Australia." 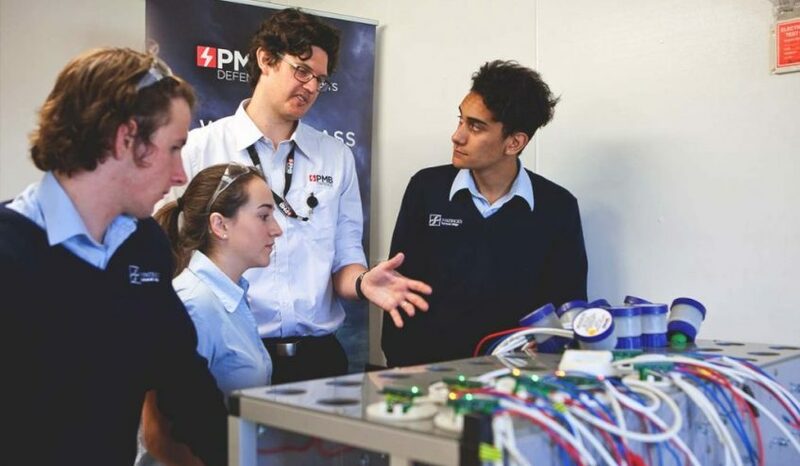 The School Pathways Program also complements the government’s Pathways in Technology (P-Tech) pilot at St Patrick’s Technical College in SA's Edinburgh North, which is focused on defence industry skills and connects schools with local employers to ensure students are learning the skills they need for local jobs.